Mmmm, coconut = sunshine. Maybe it’s the images of tropical islands that appear in your mind, or maybe it’s just from the smell which reminds me of beach holidays and sun tan lotion! Anyway, since the sun was shining and my flip flops were having their first outing of the year, I thought I’d delve into my pack of desiccated coconut. 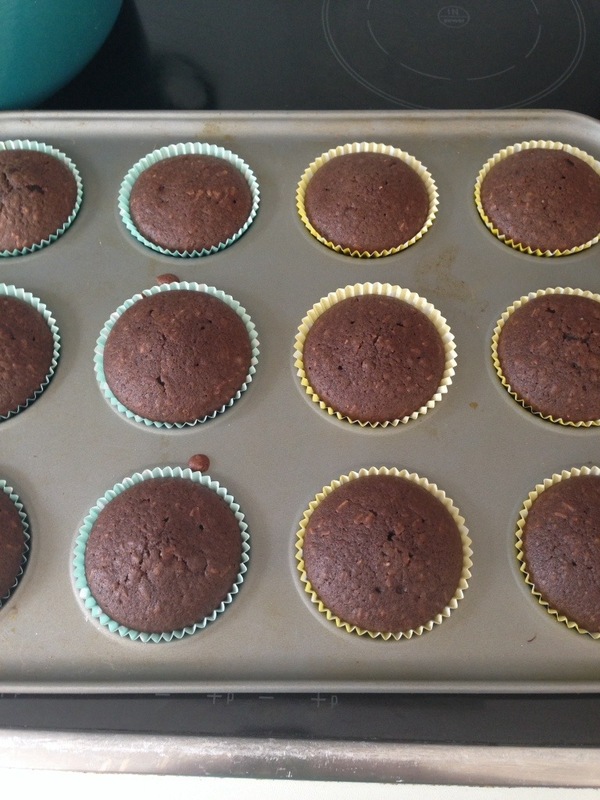 My initial plan was a coconut cake, but time was limited so I opted for these scrummy little chocolate and coconut cupcakes instead. Toasting the coconut is essential, not only to give that deeper flavour but also to top the velvety white buttercream with a sprinkling. – Mix together the oat milk, lemon, melted spread and vanilla. 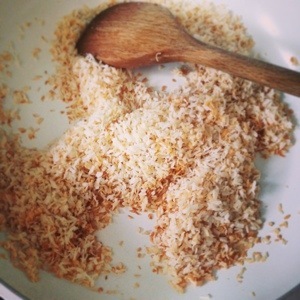 – Sift in the flour, cocoa, half the toasted coconut, bicarbonate, baking powder and salt. – Gently mix to form a smooth, very wet silky mix. – Whisk together the spread and vegetable fat. 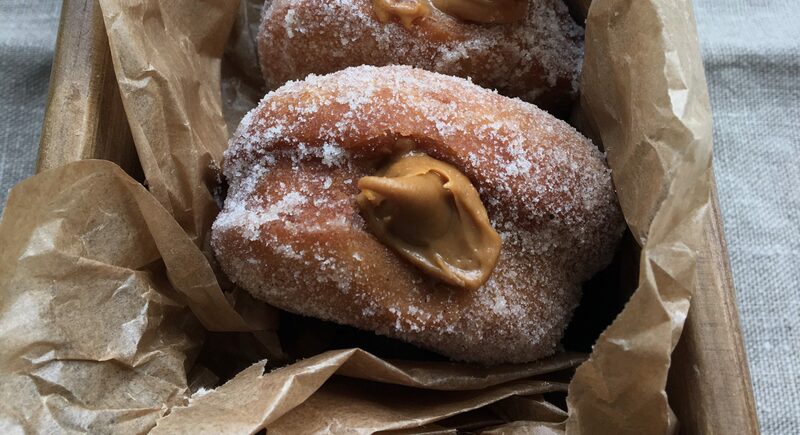 – Add the icing sugar, 1/2 cup at a time with a splash of the oat milk, until fully combined and nice and fluffy. – Pipe or spread onto the cupcakes. 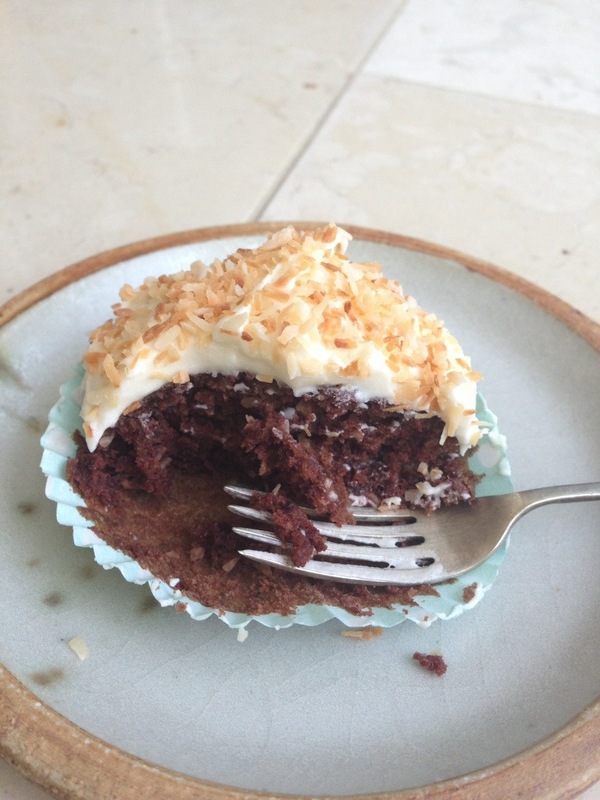 Coconut and chocolate is one of the best combinations! These look delicious! It just so works doesn’t it? Thank you muchly! 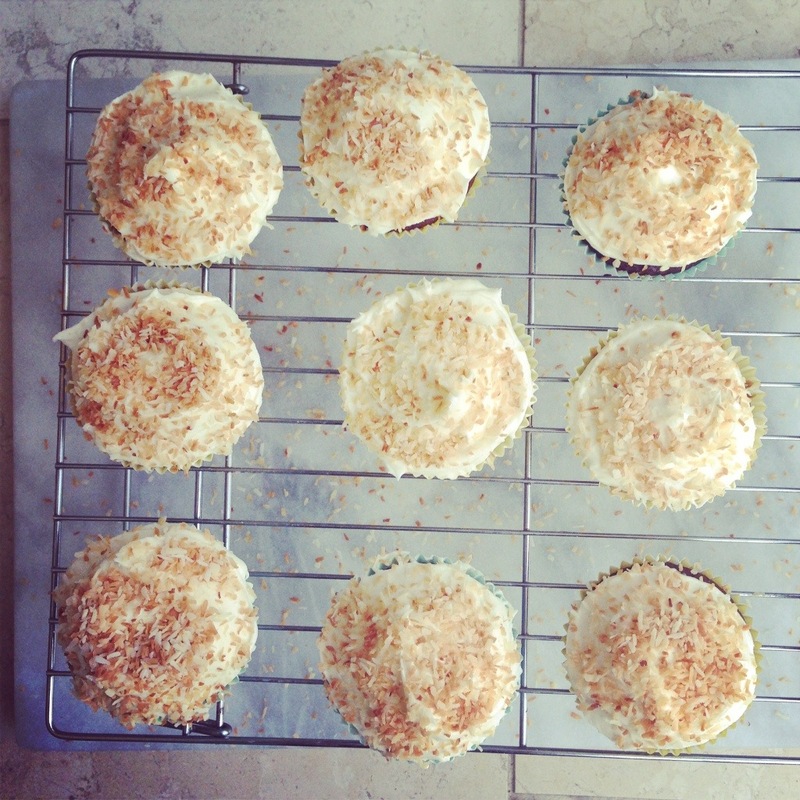 I think the toasted coconut on top just looks so appetising! ooh they look soo good. 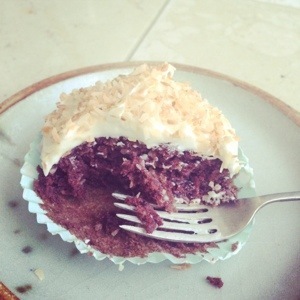 Love chocolate and coconut!